The Navy has deployed 72 diving teams, distributed in multiple locations. 8 additional teams having been pressed into the operation. The Navy has stepped up its efforts to rescue people stranded in flood-hit parts of Kerala. The force has intensified Operation Madad, launched to provide relief to the people of the state. The Southern Naval Command rescue teams have been provided with Gemini boats, divers and other resources from both Eastern and Western Naval Commands to scale up the operation. The Navy has deployed 72 diving teams, distributed in multiple locations. Eight additional teams have been pressed into the operation. In Ernakulam, 42 teams with one Gemini boat each have been providing rescue and relief to the marooned people. 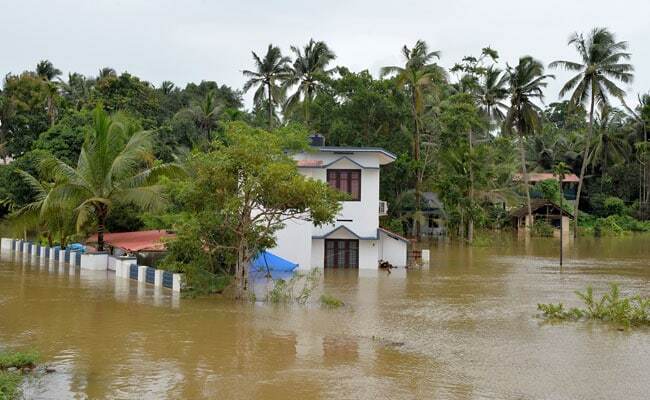 One team is working at Pizhala island, one at Edapally, three at Perumbavur, 16 at North Paravur, 14 at Aluva, four at Muvattupuzha and two at Kadangallur. In the Thrissur district, 10 teams have been deployed at Chalakkudy, while equal number of teams have been pressed into service in Chengannur of Pathanamthitta district. All the air assets available at INS Garuda are being extensively used in rescuing people and distributing relief material. In the worst-affected areas, aircraft like ALH, Sea King, Chetak and MI 17 rescued more than 154 people. Food packets and bottled water were also airdropped on the rooftops of various houses and churches. "The situation is quite bad. We are trying to rescue people. Right now we are giving them food and water so that they can at least survive until the water recedes," Squadron leader V Joshi said. Altogether, rescue teams rescued more than 3375 people by boats on August 18. At least 164 people have died in the flood since August 8 - taking the number of deaths to over 300 this monsoon. More than six lakh people have been moved to over 3,000 relief camps. Prime Minister Narendra Modi, who was taken by helicopter over inundated farmland and villages, pledged Rs. 500 crore in central aid and promised more helicopters, boats and other equipment needed to expand the rescue operation in the still unfolding emergency.